Today Angela Merkel and Nicolas Sarkozy met for make or break talks to save the Euro. If they implement what they have agreed the Eurozone will become essentially both a monetary and a fiscal union. If they fail, the enormous debt mountains threaten to bury the currency, along with several countries and with it perhaps the EU itself! And what of Britain? What is the future in an outer ring of nations outside a core of 17 nations joined fiscally and monetarily? In trying to answer this question I am conscious that I have always been, and remain, a pro European. The EU supports trade and commerce and an incredibly positive cultural exchange. True, it costs a lot but that is more than made up for by what we gain in trade and contracts. I am also conscious that post globalisation the EU is an invaluable supra-national body, vital for international co-operation on issues like climate control and scientific projects. 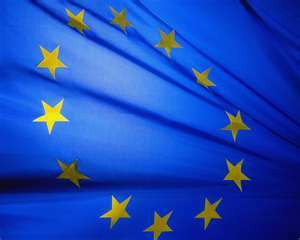 But, most importantly I believe the EU (and its predecessors) is an absolutely crucial building block in what has kept the peace in Europe since World War II and what makes war seem almost unthinkable amongst these close knit neighbouring nations. So what of the Euro? I have always held the view that we were right to not enter into the Euro. Oh, the principle seemed fine enough but only if monetary and fiscal policy was a good fit with our economy – which across so many countries and based heavily on Germany always seemed unlikely. I thought Gordon Brown got it about right setting five tests to see if it was right to join, the first and most important of which said, ” are our business cycles and economic structures compatible so that we could live comfortably with Euro interest rates”. Also, while I am a passionate believer in Europe and see it as far more than just a Common Market, I do not believe in a united states of Europe. Nationalism is too potent a force to pull that one off peace-ably. A close knit supra-national body and community of nations is how I see the EU. This means I am glad we have not been part of the Euro. I could never have foreseen this malarkey but it did not seem in our interests before. Today, I think it is best we continue to keep out of it. I suspect if the untangling can be done without excessive pain, one or two countries curently in the currency are best finding a controlled way to extract themselves. This may be the best thing for all, not least the Greek people for example! As it is these are interesting times for Europe and we must be careful that the EU itself does not unravel – which is a danger. The Scottish angle in this is interesting. If Scotland were to become independent the SNP’s currency of choice would be Sterling. Going into the Euro would be even more untenable now than when this policy was first made. However, if we were to be part of a Sterling zone would it not be better if we got the vote for the body that decides fiscal policy that affects the currency – namely Westminster? Does this not recognise we are part of a Sterling economy? Is this not an indicator that we are a natural part of the UK rather than separate from it? I would argue this helps to indicate that devolution within the UK is the most natural and the right constitutional arrangement for Scotland! Independence in Europe, since the 1980s has been central to making Scottish independence seem more credible and less scary than outright independence maybe seemed in years gone by. If the future shape of Europe seems more uncertain, as I think is the case currently, then this strengthens the logic of being part of the UK. Again, being an autonomous part of the United Kingdom is the way forward – Home Rule within the UK makes more and more sense to me. I think in the current period Europe and the Global Financial Crisis are difficult ones for the SNP administration at Holyrood as they emphasise how they are in fact marginal to issues such as those crises and the the Sterling economic zone!